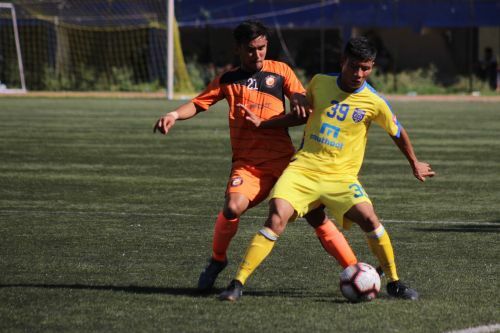 22 February 2019, Bengaluru: The game saw South United FC create a number of good chances, but KBFC’s ruthlessness in front of goal proved too much for the home side. The tie took some time to settle down and fall into a pattern where SUFC saw themselves dominate early proceedings. They created a few openings but nothing that tested the keeper yet. About 15 minutes into the game, KBFC turned the tide and started to threaten, creating one good opportunity after another. Their good spell saw them go in front through MD Esha whose header from a corner beat the keeper all ends up. The goal saw KBFC grow as an attacking force as they continued to push forward, however, towards the end of the half, SUFC found themselves on the upswing creating a few half chances but without any real penetration. Poor passing from SUFC saw a lot of their good work undone. KBFC’s second goal perplexed the SUFC defense, as a simple ball over the top beat their offside trap and Nongdamba Naorem latched onto it, beat SUFC custodian Royal and slotted the ball into the unguarded net. Trailing 2-0 at halftime, South United pressed high at the start of the second half making it difficult for KBFC to get out of the back. This spell saw them peg KBFC back in their own half for a long period, eventually winning a freekick when Sudipta was fouled in a dangerous area. 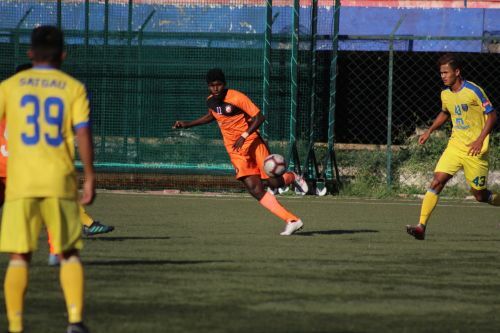 Magesh's low hard freekick was parried by the KBFC custodian, but the ball landed at Amit's feet and he made no mistake smashing the ball into the net to bring his side back into the game. KBFC realized that the next few minutes would be crucial which saw them move up the pitch, but SUFC responded with their own attacks to keep KBFC on alert. SUFC created at least 3 good chances in a row that went painfully close or were blocked just in time by KBFC defenders. KBFC were booting the ball up the pitch towards the end of the game and SUFC built each attack from the back and on this occasion, Kishan’s attempted pass was intercepted by substitute Pragyan Gogoi, who took advantage of the space he was given to strike from range and his left foot screamer beat Royal to make the score 3-1 in favor of KBFC.